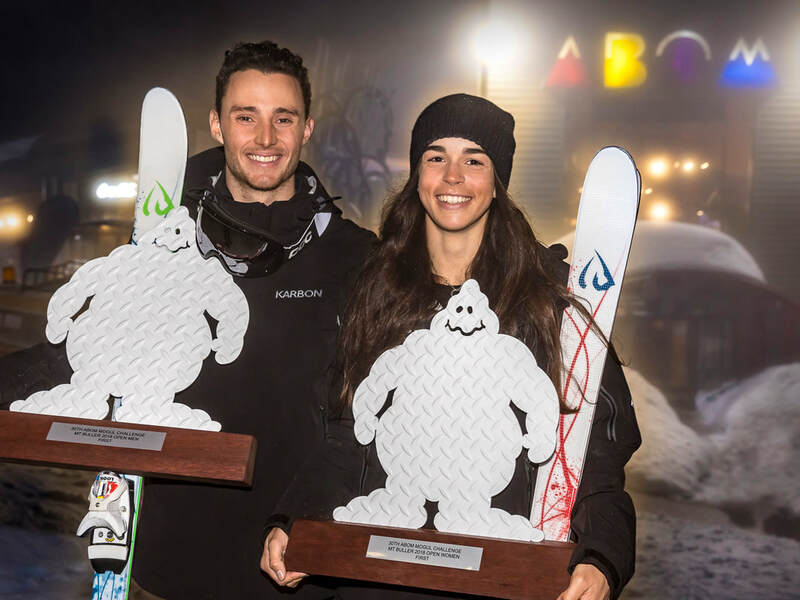 2018 Australian Olympians James Matheson and Jakara Anthony have emerged victorious to take out the their first ever ABOM Mogul Challenge title. In the 30th year of the event, a big field of 130 athletes from five countries took on the Chamois moguls, with spectacular dual mogul finals. Olympic Silver medalist and 6 x event winner Matthew Graham was second, with Japanese athlete Motoki Shikata in third. In the women's event, 2018 Olympian Madii Himbury finished second, with 2014 Olympian Taylah O'Neill in third. Prize money went to the top-3 finishes in open, with the top-3 junior and youth skiers also taking home cash from the Bank of Queensland and prizes from Bolle. 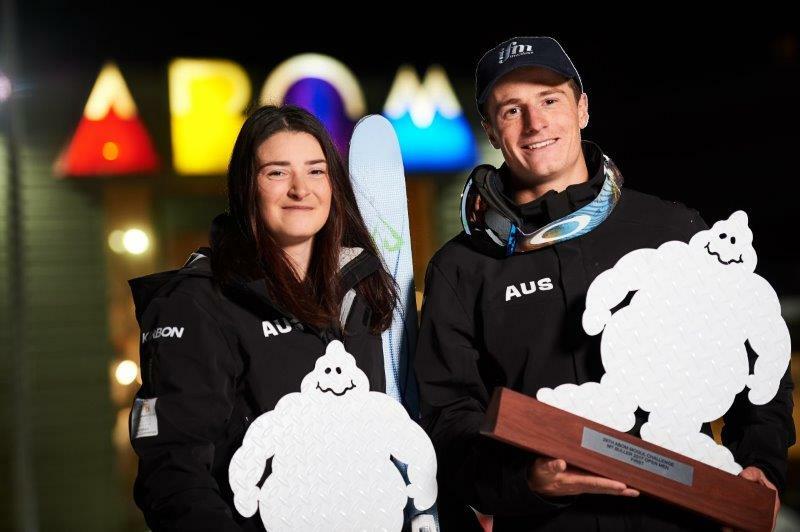 The ABOM Mogul Challenge has been drawing a world-class field of Olympians and World Cup competitors to Mt Buller since the late 80s. 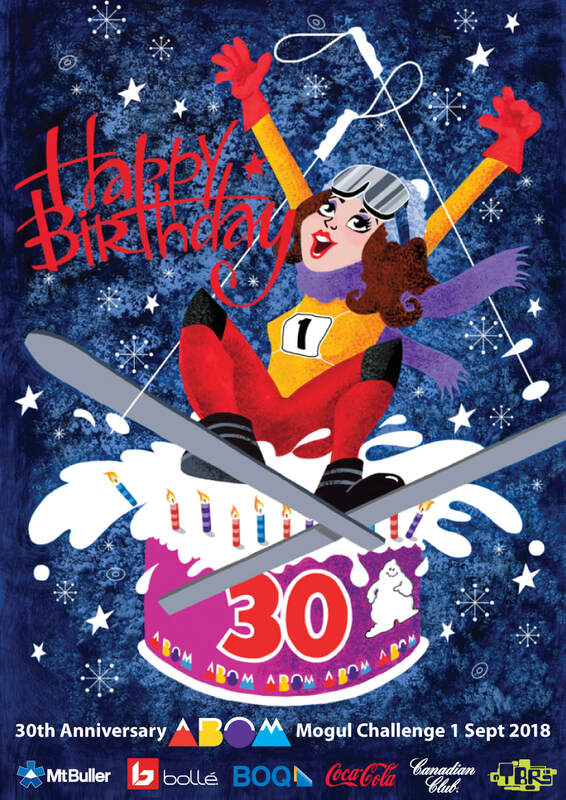 There are few events so colourful, legendary and long lasting and Mt Buller is prepping for a big 30th birthday bash to mark this milestone in the iconic mogul event’s history. The field for the 2018 ABOM Mogul Challenge is notable with PyeongChang Olympic silver medallist Matt Graham expected to wow the crowd. Matt has an impressive ABOM record, winning the event an amazing 6 times, and will no doubt be the skier to beat in the men’s field. Another athlete to watch is local bumps specialist Jakara Anthony who delivered an inspiring 4th place at the recent Winter Olympics and like Graham comes direct to the event from the National Mogul Championships held at Perisher this week. The line-up for the event boasts a total of 6 Australian athletes from the recent Olympic Winter Games in Pyeongchang, Korea, with competitors also in action from the Czech Republic, Great Britain, Japan and Korea. All will be battling hard for the $8000 prize pool, with $2000 equal prize money going to the top male and female placegetters in the FIS Open division. The action takes place on Mt Buller’s legendary bumps run on Chamois which is home the aerial and freestyle Olympic Training Centre. One the highlights of the day’s competition is the dual mogul races which are expected to be fast, impressive and tightly timed with just fractions of seconds between the contenders. The event is on Saturday 1 September on Mt Buller’s Chamois ski run with the Open Women and Legends from 10.50am, FIS Open Men and Legends from 12.25pm. The spectacular dual Mogul Finals are expected to be a thrilling finale to the day at 2pm. Bolle and the Bank of Queensland are proud to support the event with trophies and prizes that will be presented at the ABOM Moosehead Bar at 5.30pm. 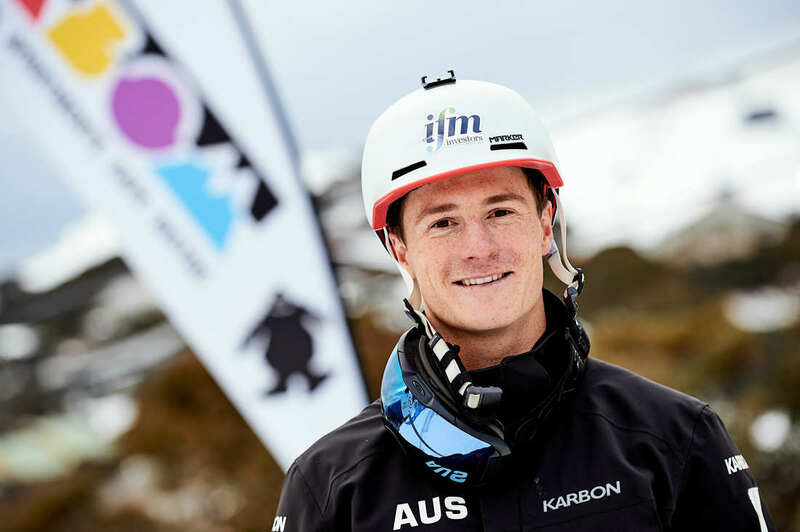 Olympic Winter Institute of Australia (OWIA) skier and current world number three Matthew Graham has smashed the record books with an historic sixth victory at Mt Buller on Saturday 2 September in the ABOM Mogul Challenge. Graham now stands clear with the most victories in the events 29-year history, moving past two-time Australian Olympian Nick Cleaver and current world number one Britt Cox who both have five wins. The dual mogul action was spectacular on the Chamois ski run, with athletes battling it out ahead of the 2018 Olympic Winter Games in PyeongChang, Korea. With spots on the Australian team likely to go down to the wire, the standard of the sport in Australia is at an all-time high. Nicole Parks had one of the best victories of her career to claim her fourth ABOM title, highlighted by a big upset of current World Champion Britt Cox in the semi-final round by a score of 13-12 from the judges. Parks’ New South Wales Institute of Sport (NSWIS) teammate Madii Himbury finished in second place, with Cox taking the bronze. Graham was the strong favourite in the men’s event, and looked comfortable all day, qualifying in first place and winning each dual on the way to the title. International athletes Alexandre Lavoie of Canada finished second with American George McQuinn third. The event was a great success with a record field of 128 entrants from Australia, Canada, China, Czech Republic, Great Britain, Japan, Korea, Poland and the USA. The ABOM Mogul Challenge is a world-class mogul ski competition held annually at Mt Buller since 1989. This iconic event is one of the highlights of the winter season, attracting some of the world’s best mogul skiers. Buller Ski Lifts General Manager Laurie Blampied congratulated the athletes, “The speed, skills and style that the skiers showcased on Chamois run yesterday was impressive. ABOM Mogul Challenge from TeamBullerRiders on Vimeo.